Let’s fly the flag for… nationalism? On a piece of cloth, or a scrap of paper. Painted onto a cheek, or made up by a bunch of pixels on a computer-screen. If it happens to be a flag, it means something special to someone. But does a national flag necessarily represent nationalism? 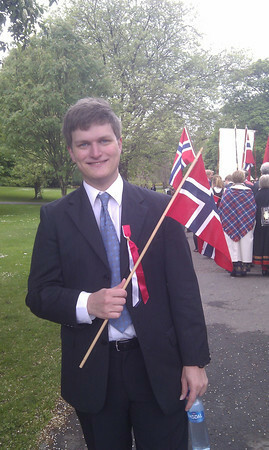 Me in Edinburgh on the 17th of May, 2011… being Norwegian. I was taken aback. Sure, on the 17th of May every year I get into a suit, take out my flag, and parade around with a bunch of other flag-waving Norwegians. I have been one of millions doing this in Norway, and one of a few hundred doing it in Edinburgh. A parade like this is bound to look over-the-top nationalistic, and I can’t really argue that it doesn’t. Don’t get me wrong, I’m proud of being Norwegian, and I think Norway is a great country. However, I don’t consider myself, nor do I consider Norwegians in general to be excessively nationalistic. The question then remains, why do we prance around, waving the Norwegian flag, shouting “Hurra!” every year? 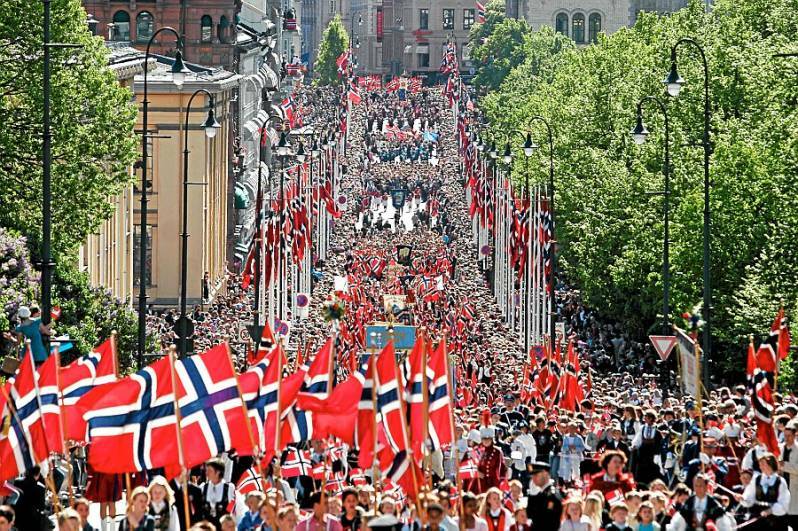 The main Norwegian flag-related event is the 17th of May constitution day celebration, and I would claim that it is not a nationalistic event. A lot of Norwegians would argue against this. Many describe it as a sickening display of national pride, others describe it as a wonderful display and celebration of Norway and everything that is Norwegian. While it isn’t in my place to tell others what the 17th of May represents for them, I don’t agree with either of these perceptions. I don’t believe the 17th of May celebrations are inherently nationalistic. 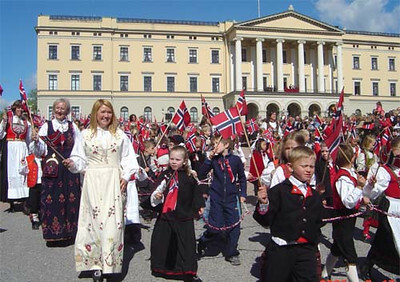 It is the day on which the people of Norway celebrate the birth of the Norwegian constitution. It is not a celebration of any kind of military victory, nor is it an outright celebration of independence. It is a celebration for the people, by the people, of the freedom and the conditions under which citizens of Norway are fortunate enough to live. And I find “by the people” to be an important point. The 17th of May has never been a state-imposed “let’s celebrate our country” event. It began as spontaneous celebrations among students on the streets. Anyone, regardless of their nationality, are more than welcome to partake in the celebrations and wave their own flag. For me it represents a day of celebrating. Not only Norway, but also the value and importance of the freedom enjoyed by free people all over the world. It is a reminder of how fortunate we are to be living in a place where we can take our freedom for granted. This is all a roundabout way of getting to my point, which is that the 17th of May has formed my relation to the Norwegian flag. For me the flag is a sign of joyous occasions, not of nationalism. We put flags on our Christmas trees, we put them out to celebrate birthdays, confirmations and weddings. Of course, the Norwegian flag is a national symbol, but to me it also symbolises celebration, happiness and gratefulness. My impression is that the British and the Scottish flags are generally used in connection with events of a national nature, be it royal weddings or sporting events. I can therefore understand that such a, relatively liberal, use of a national flag might seem odd. However, when a Norwegian waves a flag at you, it is probably not out of a feeling of national superiority. They are probably just celebrating, and you should wave back. Or, even better, join in! Norwegians on the 17th of May in front of the royal palace… being Norwegian.